The rebrand was flagged in September, designed to streamline its brand portfolio. SCA chief creative officer Guy Dobson tells AdNews the overhaul is the “biggest rebrand in Australian radio history”. “It has taken us two to three years to work out how we could rebrand our entire regional network. Now, we are able to communicate two brands under SCA through marketing collateral and in terms of advertising sales there’s a one button push for advertisers, rather than working out what individual brand best works for your client,” he says. As part of the rebrand, the 68 regional radio stations that sit under the SCA umbrella are moved under two essential elements – HIT and Triple M.
The HIT network will encompass 43 stations, including 2Day FM, Hit 105 and 3 Sea. 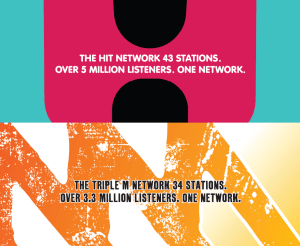 34 stations move under the Triple M Network, including Mix 94.5 and 92.5 Gold FM. The move has been made by SCA to simplify its messaging in market as well as its proposition to advertisers. It will allow advertisers to sell across the various networks under the HIT and Triple M umbrella, as well as two digital destinations created to reflect the new core brands. Selected heritage stations will change to a transition brand for twelve to eighteen months to introduce consumers to the change more softly. This will be for Gold FM Gold Coast, KO FM Newcastle, 4TO FM Townsville, and 2GO FM Central Coast. These stations will also regularly reference on air that they are part of the Triple M Network. While Dobson says the overall branding for the shows will change both internally and with a significant marketing push, he is adamant there will be no changes to the programming on any of the stations. “Our regional stations aren’t going to change their formats and we won’t change the local breakfast shows. What will change is the collateral we roll out in terms of TV marketing, billboards and external signage,” he says. The new SCA proposition will be promoted on the network’s own assets as well as through its TV affiliates. 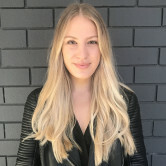 Southern Cross Austereo (SCA) has completed its biggest rebrand since it was formed by the merger of Southern Cross Media Group and Austereo Group in 2011.